OMG!!! That's so weird!!! I was just thinking about Diesel, too!!! For a company whose motto was "Only The Brave," the Diesel brand had become anything but. What was once one of the edgiest brands in fashion had become seen as safe and derivative. Its sales were lagging. Its cache, dwindling. During my Anomaly days we were invited to pitch this once-irreverent brand. We won. 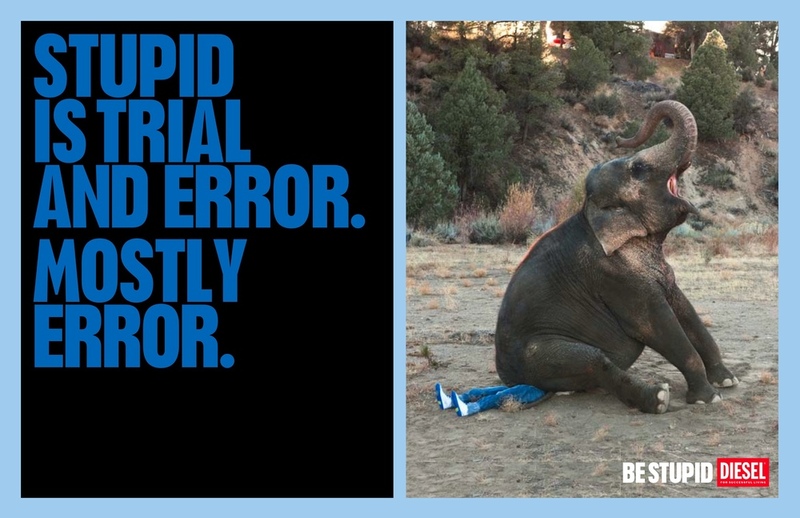 "Be Stupid" was the result. Not only did sales do a U-turn (yay! ), not only did people begin talking about the brand again (yay! 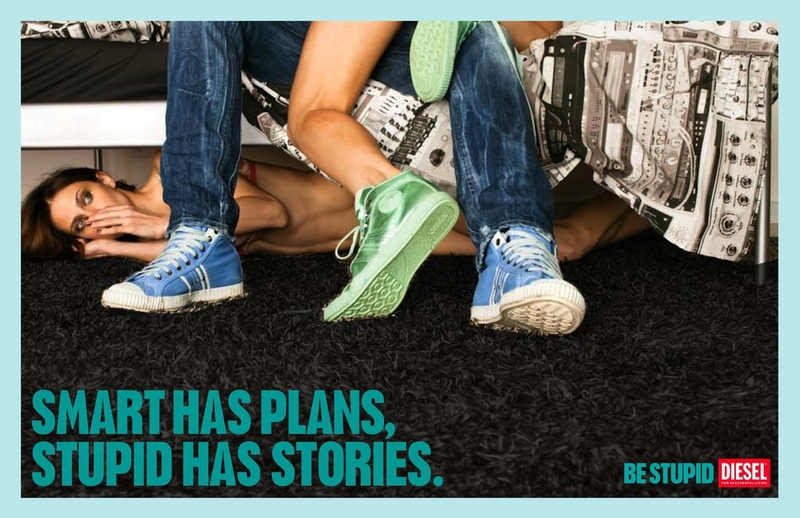 ), the campaign went on to win award after award, including the Grand Prix at Cannes (yay!). 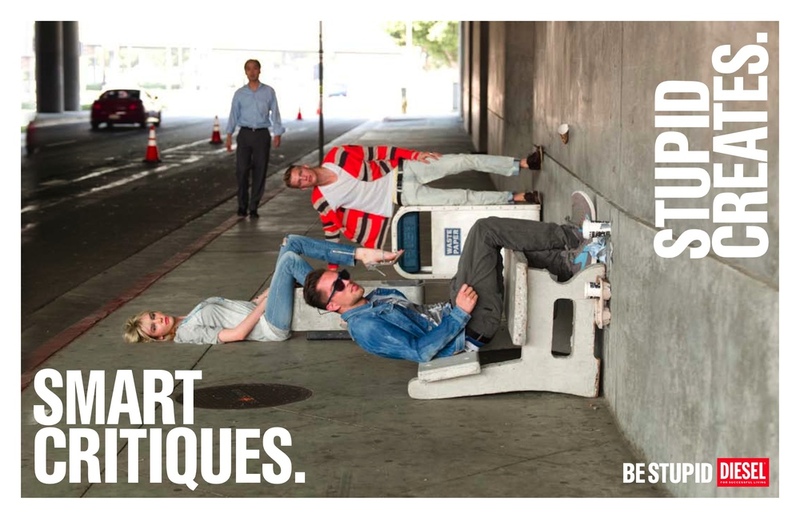 We took this campaign and made it the story of their entire spring product catalog. Across the globe, we expanded it in to in-store signage as well. 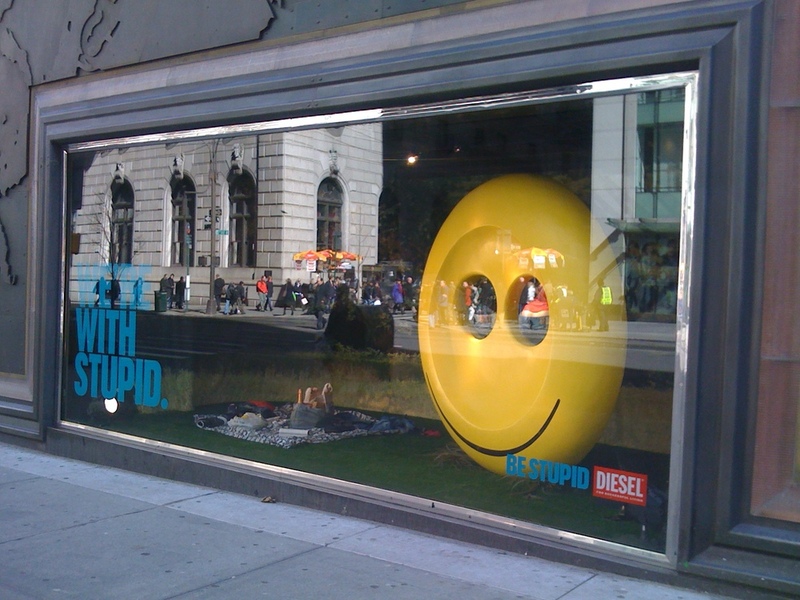 As the campaign quickly took hold throughout the Diesel organization, it found its way into the product line, becoming one of its biggest new product sellers. 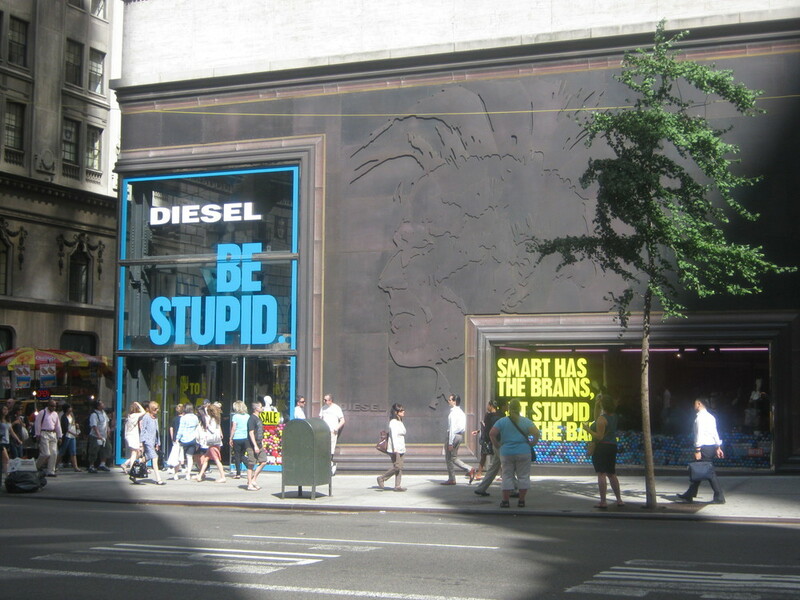 Renzo Russo (the founder of Diesel) loved the campaign so much, he adopted the motto as Diesel's corporate philosophy. He even went so far as to use it as the title of his biography. You can find the book here. Boy, that was fun, wasn't it? Let's say we go home now.